Create a European-inspired living room with this masterfully crafted and regally designed sofa and loveseat set from the Kensington collection. Stunning details and finely tailored upholstery make this set a remarkable choice, from the beige chenille upholstery with floral prints and nailhead trim to the button-tufted back and elegant wingback design. Curvaceous scrolled details line the crown, arms, and feet, adding classical flair to the piece. Crafted from solid birch wood with various shaped throw pillows in coordinating colors, patterns, and fringe. 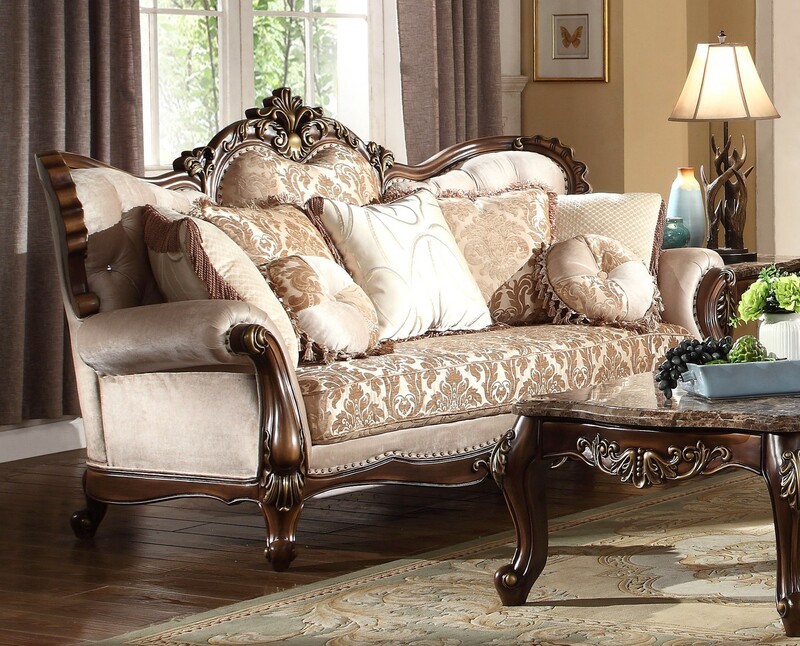 The regal design of the matching loveseat features the same gorgeous elaborate decorations and loose pillows that adorn the sofa. Tufted pillows also feature twistedecord tassels to really make them stand out. 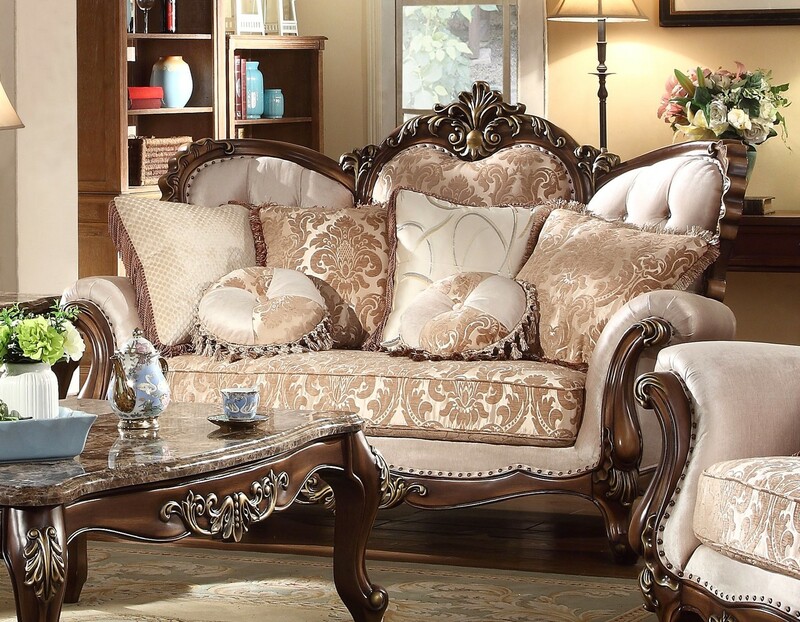 Add the matching wing back chair to complete this extravagantly ornate living room furniture collection. The chair features the same elaborately carved details as the sofa and loveseat, accentuated by hundreds of individually placed nail heads and upholstered in a combination of patterned and solid fabrics. Fringed accent pillows complete the look. SF8900-S Sofa 90.00" 41.00" 48.00"
SF8900-L Loveseat 74.00" 41.00" 48.00"
SF8900-C Chair 49.00" 41.00" 48.00"
T8900-CT Marble Top Coffee Table 57.00" 29.00" 18.00"
T8900-E Marble Top End Table 29.00" 29.00" 22.00"
Have a question about Kensington French Provincial Beige Chenille Sofa & Loveseat Set? Our professional product specialists are ready and available to help answer your questions quickly.